California's Prop 64 Campaign Has Raised More Than $11 Million. The campaign to legalize marijuana in California it out-fundraising the opposition by a margin of 61 to 1, according to new campaign finance reports. The Prop 64 campaign has raised $11.45 million, while the No on 64 opposition campaign has raised only $185,000. Prop 64 has received more than $2.3 million from tech billionaire Sean Parker, $750,000 from Weedmaps founder Justin Hartfield, $1.5 million from the New Approach PAC, and $1.25 million from Drug Policy Action, among others. 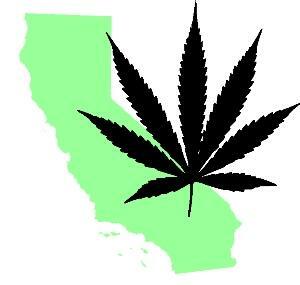 Opposition funding is coming from Smart Approach to Marijuana, the California Teamsters, and law enforcement. Nevada Law Enforcement Comes Out Against Question 2. At a Carson City press conference Thursday, state Attorney General Adam Laxalt and other law enforcement officials came out in opposition to the Question 2 marijuana legalization initiative. The claimed "this ballot initiative was written by major marijuana interests, who's bigger concern is making money," not the greater good of Nevadans, and cited concerns about impaired driving. Tennessee Governor Opposes Decrim in Memphis and Nashville. The state's two largest cities are both considering decriminalizing small-time marijuana possession, but Republican Gov. Bill Haslam wants none of it. "I'm not a fan," he says. "While I do think we've had some people who have spent more time in jail than they need to for that. I'm not in favor of decriminalizing that." Second Arkansas Initiative Will Be on Ballot, Even If It Doesn't Qualify. The state already has one medical marijuana initiative on the ballot, the 2016 Arkansas Medical Cannabis Act, and state officials announced Thursday that a second initiative, the Arkansas Medical Marijuana Amendment, will also appear on the ballot, even though they have yet to certify that it has enough signatures to do so. That's because Thursday was the deadline to certify ballot issues. Because the secretary of state's office was not able to verify late signatures before the deadline, the second initiative has been "certified to the ballot and assigned a number." If the initiative actually comes up short on signatures, votes for it in November will not be recorded. Florida Medical Marijuana Initiative Polling Above 67%. The Amendment 2 medical marijuana amendment initiative appears headed for victory in November. A new poll from the University of Florida Bob Graham Center has support at 67.8%, in line with a slew of polls since early 2015 that show the initiative will a low of 61% approval and up to 80%. Because the initiative is a constitutional amendment, it needs 60% to pass. New York Health Department Calls for Expanding Medical Marijuana Program. In a report marking the two-year anniversary of the state's medical marijuana program, the Department of Health called for expanding the program to meet patient needs. "To meet additional patient demand and increase access to medical marijuana throughout New York State, NYSDOH recommends registering five additional organizations over the next two years, using a phased-in approach to permit their smooth integration into the industry," the report said. Arizona Judge Rejects Lawsuit Trying to Knock Legalization Initiative Off the Ballot. Maricopa County Superior Court Judge Jo Lynn Gentry has dismissed a lawsuit brought by opponents of the Prop 205 legalization initiative. The lawsuit had challenged the 100-word initiative summary that will appear on ballots, but Gentry ruled that the summary "substantially complies with the law." The foes, led by Arizonans for Responsible Drug Policy, said they will appeal. Nevada Poll Has Legalization Initiative Under 50%, But Still Leading. A new Nevada poll from Suffolk University shows a tight race ahead. The poll had support for the Question 2 legalization initiative at 48%, with 43% opposed, and 9% undecided. Study Finds Marijuana Use Not Associated With Bad Organ Transplant Outcomes. A peer-reviewed study from the journal Clinical Transplantation finds that marijuana use is not contraindicated in kidney transplants. "[R]ecreational marijuana use should not be considered a contraindication to kidney transplantation," the authors concluded. "[R]ecreational marijuana use should be systematically evaluated in a larger setting before a decision is made on what, if any, degree of use or abuse should be considered a relative or absolute contraindication, or whether use or abuse should be considered a contraindication." Even in jurisdictions that allow for medical marijuana use, hospitals routinely disqualify patients with a marijuana history from eligibility for organ transplants. Pennsylvania Medical Marijuana System Moving Forward. The state Health Department has released a draft of the rules for the state's nascent medical marijuana industry. The more than 90 pages of draft regulations create a roadmap for aspiring medical marijuana growers and processors who are competing for 25 lucrative permits. A Gallup poll shows a dramatic increase in admitted marijuana use by adults, a Barna poll shows little support for drug prohibition, Garden State needle exchanges are scrambling for money after their funding was vetoed, and more. Gallup: Number of American Adult Marijuana Users Nearly Doubles in Three Years. 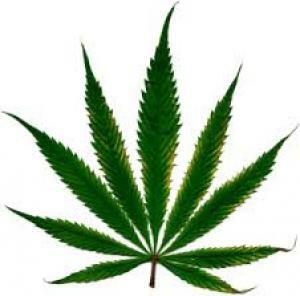 A new Gallup poll reports that the number of people who smoke pot has nearly doubled since 2013. That year, 7% of adults said they were current marijuana users; this year, the number jumped to 13%. It's not clear whether or to what degree the reported sharp increase is attributable to an actual increase in regular marijuana users or whether it's because people are more willing to admit their pot use in an era of growing acceptance of marijuana and spreading legalization of the herb. Missouri Initiative Campaign Asks Court to Overturn Invalidated Signatures. New Approach Missouri announced Monday that it will go to court this month to overturn invalidated signatures so that its medical marijuana initiative can appear on the November ballot. The campaign has enough valid signatures to qualify in every congressional district except the state's second, where local election officials invalidated more than 10,000 signatures, leaving the campaign roughly 2,200 short of the 32,337 required in that district. Poll: Only One-Third Thinks All Drugs Should Be Illegal. A new poll from Barna, a firm that surveys on religious issues, finds that only 32% of respondents think all drugs should be illegal. Some 40% think hard drugs should be illegal, but not marijuana, while another 13% think all drugs should be legal and regulated and another 3% believe all drugs should be legal and should not be regulated. If you add those all up, it's 56% for marijuana legalization and 16% for legalizing all drugs. New Jersey Needle Exchanges Are Strapped for Cash. The operators of the state's five needle exchange programs have launched an online fundraising drive this week with a GoFundMe account after a one-time federal grant has run out. Lawmakers had allocated $95,000 to cover program costs, but Gov. Chris Christie (R) line item vetoed that funding in June. "Our governor claims to be fiscally conservative and pro-life. So, how is it that he refuses to fund a simple, inexpensive, effective intervention that saves lives at significantly lower cost than the cost of medical care after a person has been infected with HIV or Hepatitis C or both?" said Diana McCague, the founder of the first underground needle exchange program in the mid-90s called The Chai Project. "Can it be that he's willing to risk the lives of human beings because they use drugs? I think 'pro-life' means pro-all-life." A new Gallup poll reports that the number of people who use marijuana has nearly doubled since 2013. That year, 7% of adults said they were current marijuana users; this year, the number jumped to 13%. It's not clear whether or to what degree the reported sharp increase is attributable to an actual increase in regular marijuana users or whether it's because people are more willing to admit their pot use in an era of growing acceptance of marijuana and spreading legalization of the herb. Most of the increase occurred between 2013 and 2015, when regular use hit 11% before climbing another two points between then and now. Now, some 43% of Americans say they have ever tried marijuana, similar to last year's 44% and up slightly from 38% in 2013. In 1969, when Gallup first asked the question, only 4% said they had ever tried it. 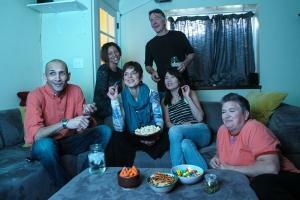 Marijuana's decades-long move toward social acceptance continues. UN drug agencies join civil society in condemning Philippine drug war killings, the world's largest drug consumption facility opens in Copenhagen, the California marijuana legalization initiative sues to have "false and misleading" ballot arguments removed, and more. California Prop 64 Campaign Sues to Disallow "False, Misleading" Ballot Arguments. The Prop 64 marijuana legalization campaign filed a lawsuit in state superior court in Sacramento Thursday seeking to have what it calls false or misleading statements submitted by opponents removed from ballot arguments. Ballot arguments appear in the voter information guide. The campaign wants the judge to reject or amend a number of arguments, including one that claims children will be exposed to edibles advertising and one that claims Prop 64 will remove consumer protections, among others. All legal questions around ballot arguments must be settled by August 15. Arkansas Poll Has Support for Medical Marijuana at 58%. A new poll of likely voters has a healthy majority for medical marijuana, with 58% saying they support it. Voters will have a chance to signal that support at the polls in November, when the Arkansans for Compassionate Care initiative will appear on the ballot. A second medical marijuana initiative, the Arkansas Medical Cannabis Amendment, is still trying to qualify for the ballot and has received an extension to gather more signatures after coming up just short last month. New Jersey Legislature Passes Bill to Make PTSD a Qualifying Condition. The Senate Tuesday gave final approval to Assembly Bill 457, which would allow people with PTSD to use medical marijuana. The bill now goes to Gov. Chris Christie (R), who has not indicated whether he will sign or veto it. UN Drug Agencies Join Chorus of Critics of Philippines Drug Killings. In a statement Wednesday, UN Office of Drugs and Crime (UNODC) executive director Yuri Fedotov said he joined UN Secretary General Ban Ki-moon in "condemning the apparent endorsement of extrajudicial killings" of alleged drug users and dealers in the country under the new administration of President Rodrigo "Death Squad" Duterte. "[Extrajudicial killing] is illegal and a breach of fundamental rights and freedoms," he said. "Such responses contravene the provisions of the international drug control conventions, do not serve the cause of justice, and will not help to ensure that 'all people can live in health, dignity and peace, with security and prosperity,' as agreed by governments in the outcome document approved at the UN General Assembly special session on the world drug problem," he said. The International Narcotics Control Board (INCB) likewise expressed its concern later the same day. In a written statement, the self-described "quasi-judicial" agency that monitors compliance with the drug conventions wrote that "should these reports prove accurate, this would constitute a serious breach of the legal obligations to which the Philippines is held by the three UN drug control conventions and by the corpus of international legal instruments to which the country has adhered." 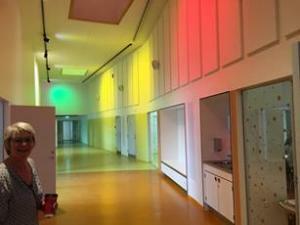 World's Largest Drug Consumption Room Opens in Copenhagen. The drug consumption room is 1,000 square meters and includes space for both drug injecting and smoking. It is partially funded by the city of Copenhagen. Users at the site will also be able to engage with medical and social welfare services. Your correspondent was on vacation last week, but drug policy and the drug war weren't. Illinois has decriminalized marijuana possession, Republicans are shifting on marijuana prohibition, Minnesotans with chronic pain now qualify for medical marijuana, Floridians can now get naloxone without an individualized prescription, and more. Poll: Even Republicans Now Favor Marijuana Legalization. For the first time, a plurality if not a majority of people who identify as Republicans say they support marijuana legalization. A new YouGov poll has 45% of Republicans in favor, with 42% opposed. Only eight months ago, Republicans opposed legalization in the same poll, by a margin of 50% to 36%. Pot Prohibitionists Put Up $2 Million to Fight Legalization. The political arm of the anti-legalization group Smart Approaches to Marijuana has raised more than $2 million to fight legalization initiatives in five states this year, including California, where Prop 64 is on the November ballot. The bulk of the money will go to California. The group is led by former Rep. Patrick Kennedy (D-Rhode Island) and former drug czar's office official Kevin Sabet. Illinois Decriminalizes Marijuana. Gov. Bruce Rauner (R) last Friday signed into law Senate Bill 2228, which decriminalizes the possession of up to 10 grams of marijuana and creates a maximum fine of $200. The law goes into effect immediately, making Illinois the 21st state to have decriminalized small-time pot possession. Massachusetts Legalization Initiative is Officially on the November Ballot. State officials last month quietly certified that the initiative from the Campaign to Regulate Marijuana Like Alcohol has overcome the final hurdle to going before the voters in November. Advocates had to hand in a small number of signatures this summer when the legislature refused to act after the campaign handed in tens of thousands of signatures earlier this year. The initiative will be Question 4 on the November ballot. Northern Marianas Could Vote on Legalization in November. A lawmaker in the US territory has pre-filed a bill that would let residents vote on legalization in November. Senator Sixto Igisomar is the man behind the move. The legislature must approve it by August 10 for it to make the ballot this year. Arkansas Medical Marijuana Amendment Initiative Gets More Time to Gather Signatures. Arkansans United for Medical Marijuana, the group behind the Arkansas Medical Marijuana Amendment initiative, had come up short of the 82,000 valid voter signatures required to qualify for the November ballot, but it handed in 72,000 valid signatures, qualifying it for additional time to gather enough signatures to make the ballot. Another medical marijuana initiative, the Arkansas Medical Marijuana Act, has already qualified for the ballot. Minnesota Chronic Pain Patients Now Qualify for Medical Marijuana. As of today, the state's medical marijuana program includes people suffering from chronic pain that is not eased by traditional drugs or therapies. Florida Makes Opioid Overdose Reversal Drug Available Without Prescription. The overdose reversal drug naloxone (Narcan) is now available through a "standing order" from a doctor, meaning drugs users, friends, and family members no longer need an individual prescription to obtain the antidote. Additionally, the pharmacy chain CVS will begin stocking naloxone in all its pharmacies in the state beginning this month. Italian Parliament Begins Debate on Marijuana Legalization.Last week, parliament began discussing whether to approve a marijuana legalization bill. The bill would allow for the possession of up to 15 grams at home and 5 grams on the street and let people grow up to five plants. It would also allow growing collectives of up to 50 growers. Rightist opponents of the measure have already filed more than 1,300 proposed amendments aimed at snuffing it. Debate on the bill will resume in September. Indonesia Executes Four Drug Prisoners. Ignoring a growing global clamor against the practice, Indonesian authorities executed four convicted drug offenders last Friday. Ten others set to be executed at the same time won a temporary reprieve when a storm hit the island where the executions were taking place, but officials said they would be put to death later. Poll Finds For First Time More Republicans Support Marijuana Legalization Than Oppose It. A new YouGov.com survey has support for legalization nationwide at 55%, in line with other recent polls, but also finds that for the first time, more Republicans support ending pot prohibition than continuing it. Among GOP voters, 45% favored legalization and 42% were opposed. As recently as January 2014, 60% of Republicans opposed legalization. The shift comes not because Republicans are warming to marijuana, but because they trying to suppress it is a waste of money, YouGov pollster Peter Moore said. "The most interesting thing about this is, literally, that the Republican attitude towards marijuana itself hasn't changed that much. 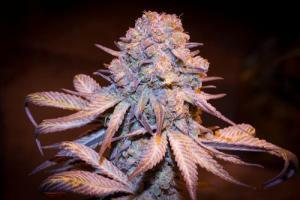 The only thing that's changed is the attitude toward prohibition." Guam Lawmakers Reject Proposed Medical Marijuana Rules. Lawmakers Wednesday unanimously passed a measure to reject the health department's latest draft of proposed rules and regulations as too strict. The move came after stakeholders and the public raised concerns about the latest draft. "They have stated that this set of rules and regulations will not be beneficial to patients for a number of reasons, including the high fees and strict layers of regulations," Sen. Tina Muna Barnes told her fellow lawmakers during the session. Illinois Judge Orders State to Reconsider Rejecting Medical Marijuana for Migraines. Cook County Circuit Court Associate Judge Rita Novak has overturned the Department of Public Health's denial of a petition to add migraines to the list of conditions for which medical marijuana can be recommended. That doesn't mean that migraines will necessarily be added to the list, but the department must now reconsider its decision. Canadian Provincial Premiers Call for Quick Action on Marijuana Legalization. Meeting in Whitehorse, Yukon, provincial heads of government called on the federal government to move quickly on legalizing marijuana. The premiers said they wanted to avoid a situation of patchwork enforcement and distribution across the country. The Liberal federal government has said it will legalize marijuana and has recently created a task force to do so. The Democratic Party adopts a marijuana reform plank, scientists complain about marijuana research obstacles, Myanmar moves to reform a punitive drug law, the UN reports plentiful heroin supplies despite a bad harvest in Afghanistan last year, and more. Democrats Approve Marijuana Reform -- But Not Outright Legalization -- Platform Plank. The Democratic National Committee panel drafting the party's 2016 platform has approved language supporting marijuana law reform, but failed to approve language calling for removing marijuana from the Controlled Substances act. The approved language is as follows: "We believe that the states should be laboratories for democracy on the issue of marijuana, and those states that want to decriminalize marijuana should be able to do so. We support policies that will allow more research to be done on marijuana, as well as reforming our laws to allow legal marijuana businesses to exist without uncertainty. And we recognize our current marijuana laws have had an unacceptable disparate impact, with arrest rates for marijuana possession among African-Americans far outstripping arrests among whites despite similar usage rates." Scientists Claims US Government Still Limiting Marijuana Research. In a letter published in Science, a group of scientists say the US government is still holding back research into marijuana. "This has created a truly unique and an unnecessary paradox in modern medicine, in which physicians are authorizing treatments to patients, and patients are regularly using medication without a scientific basis of knowledge on patient outcomes, forced rather to rely only on scientifically invalid or anecdotal information," said lead signatories Sarah Stith and Jacob Vigil of the University of New Mexico. The letter comes as the DEA is considering whether to reschedule marijuana. Maine Legalization Initiative Will Appear on Ballot as Question 1. The initiative from the Maine Campaign to Regulate Marijuana Like Alcohol has been designated Question 1 on the November ballot by Secretary of State Matt Dunlap. The final wording of the ballot question reads: "Do you want to allow the possession and use of marijuana under state law by persons who are at least 21 years of age, and allow the cultivation, manufacture, distribution, testing, and sale of marijuana and marijuana products subject to state regulation, taxation and local ordinance?" 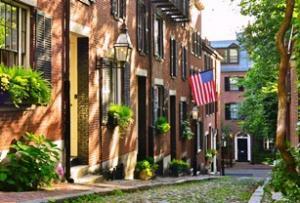 Massachusetts ACLU Endorses Legalization Initiative. The Bay State chapter of the ACLU has officially endorsed the initiative from the Massachusetts Campaign to Regulate Marijuana Like Alcohol. The initiative is waiting for a second round of turned-in signatures to be counted before it is officially qualified for the ballot. US Supreme Court Won't Hear Montana Medical Marijuana Appeal. The nation's high court refused Monday to hear a challenge to a state law that limits medical marijuana providers to selling it to no more than three patients. In refusing to hear the case, the high court let stand a Montana Supreme Court decision upholding most of a state law that effectively overturned a 2004 voter-approved medical marijuana initiative. New restrictions are now set to go into effect on August 31. Pennsylvania Finishes Drafting Temporary Medical Marijuana Regulations. State health officials announced last Friday that they have completed drafting temporary regs that will allow child patients to use medical marijuana products from outside the state while the state's program is being set up. Applications should be available at the health department's website sometime next month. 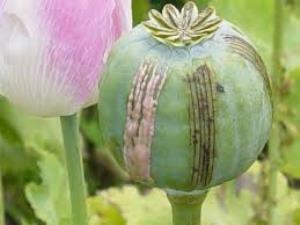 UN Says Still Plenty of Heroin Despite Opium Production Decline. In its World Drug Report 2016, released last Thursday, the UN Office on Drugs and Crime (UNODC) reported that global opium production declined by 40% last year because of a poor harvest in Afghanistan, the world's leading producer, but that the harvest there in 2014 was among the largest on record, meaning that last year's decline was "unlikely" to lead to "major shortages" of heroin because traffickers have built up huge stockpiles in past years. Danes Favor Marijuana Legalization, Even as Government Vows Crackdown. A Gallup poll has support for marijuana legalization at 45%, with 41% opposed. The poll comes days after the most recent crackdown on Pusher Street in Copenhagen's hippy enclave of Christiania, and the government says it doesn't care what the survey found. "I do not support legal cannabis and the Gallup figures don't change that," said Health Minister Sophie Lohde. "It's possible that some things would be easier if we let loose but I fear that legal cannabis would result in more people developing a substance abuse problem. And that particularly applies to young people." Myanmar Government Moves to Reform Punitive Drug Laws. The government will push to delete provisions of the country's drug law that require drug users to register with the authorities on pain of imprisonment if they don't. Colonel Zaw Win Tun of the Myanmar Police Force said the provisions violate the country's human rights obligations under the UN Charter. "The existing law states drug users shall register and if not, they shall be imprisoned. Now we are trying to amend the law and remove the provision [requiring drug users to register]," he said. A bill to change the law was submitted to parliament earlier but has not been acted on. The government said it will now move on the bill. Colombia, FARC Rebels Sign Ceasefire Agreement. Colombia's 50-year-long civil war is now winding down. Government officials and FARC representatives signed a ceasefire agreement last week in Havana and agreed to work together on coca crop substitution programs. The FARC also agreed to combat cocaine trafficking and the government has promised to engage in massive spending for alternative development. Will either actually happen? Read on. It's looking good for California's marijuana legalization initiative, an Ohio medical marijuana bill heads for the governor's desk, a congressional committee approves federal asset forfeiture reform legislation, and more. California Support for Legalization at 60%, New Poll Finds. Voters in the Golden State are poised to approve the Adult Use of Marijuana Act (AUMA) in November, according to a new poll from the Public Policy Institute of California. The poll had support for legalization at 55% among adults and an even higher 60% among likely voters. Support is up four points from the last PPIC poll in May. "Democrats (69%) and independents (65%) are much more likely than Republicans (45%) to say the use of marijuana should be legal. Two in three adults under age 35 favor legalization, while about half of older adults are in favor. Across racial/ethnic groups, strong majorities of blacks (78%) and whites (65%) favor legalization, while fewer Asians (50%) and Latinos (40%) do so. An overwhelming majority of those who say they have tried marijuana favor legalization (78%), while a solid majority of those who have never tried it are opposed (63%)." West Virginia Decriminalization Bill Filed. Delegate Mike Pushkin (D-Kanawha) Tuesday filed House Bill 114, which would decriminalize the possession of up to 30 grams of marijuana and the growing up of to six plants. The bill includes language about protecting medical marijuana patients, but does not contain language limiting possession and cultivation prerogatives to patients. Ohio Medical Marijuana Bill Awaits Governor's Signature.Both houses of the legislature gave final approval to the measure, House Bill 523, Wednesday. The bill barely cleared the Senate on an 18-15 vote and won final approval from the House on a 67-28 vote. Gov. John Kasich (R) has said he will review the bill when it gets to his desk. House Judiciary Committee Approves Asset Forfeiture Reform Bill. The committee unanimously approved asset forfeiture reform legislation. Known as the DUE PROCESS Act (H.R. 5283) and sponsored by Crime Subcommittee Chairman Rep. F. James Sensenbrenner (R-WI), House Judiciary Committee Chairman Bob Goodlatte (R-VA), Ranking Member John Conyers (D-MI), Crime Subcommittee Ranking Member Sheila Jackson Lee (D-TX), Representative Tim Walberg (R-MI), Representative Peter Roskam (R-IL) and others, the bill makes important procedural reforms that will help give property owners fighting a federal civil asset forfeiture action greater leverage to contest a government seizure and increases the federal government's burden of proof in civil forfeiture proceedings. The DUE PROCESS Act, however, currently does not address the "policing for profit" incentive issue.